Anita Pichler was the first South Tyrolean author of the postwar era to become known outside of her country. Much praised, her work nevertheless was also subject to critical views. “Reactions to my work are completely contradictory: people either like my book and the way I write or they don’t. 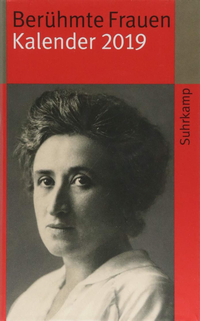 I’ve actually heard very few voices in between,” declared Anita Pichler in a newspaper interview after her story “Die Zaunreiterin” (The Fence-Sitter) was published by Suhrkamp in 1986. She had first introduced this text at the Ingeborg-Bachmann-Competition in Klagenfurt (Austria), and critic Marcel Reich Ranicki hadn’t held back from describing it as “arts-and-crafts and tinsel.” Anita Pichler would not let herself be deterred and was ultimately proven right. It was clear to her that her texts were neither conventional nor pleasing – she had never sought to be either. “I realized that traditional narrative methods simply don’t work for me.” Both formally and with regard to reception, Anita Pichler represents a break in South Tyrolean literature. Her texts deal with material that is ostensibly historical (Oswald von Wolkenstein) or mythological (Fanes/Fanis sagas, the fence-sitting witch-figure), but she transposes her themes into the present and interweaves the material into a poetically dense texture which can be read on several levels simultaneously. She looks for the coincidences “without which life can’t go on”; she seeks a language for perceptual phenomena, for the process of seeing, for telling about colors and lines; she writes a precise, poetic prose in which no word is left to chance. 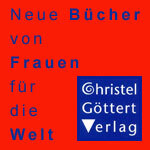 “In the concrete act of narration, the terse sketching of character and hinting at situations Anita Pichler succeeds in creating suggestive images, bold passages….Anita Pichler has dared a lot in her first book,” wrote DIE ZEIT about “Die Zaunreiterin.” Women are central to many texts by Anita Pichler. And while she considers the “genre” of women’s literature to be a creation of the market, she has nevertheless smoothed the path for other women authors of South Tyrol, who were virtually invisible till the beginning of the 1980’s. Anita Pichler’s life was marked by movement, by existing “in between,” in different places, languages and politilal systems. “Being settled” is a recurrent theme in her works, as is absence. The slender œuvre that she left at her premature death—she died at forty-nine of cancer—was recognized far beyond the borders of South Tyrol. The second of three sisters, Pichler was born on 28 January 1948 into a merchant family and lived alternatively in Schenna, a village not far from Merano, and Sulden, a mountain village at the foot of the Ortler. She was only 16 when she left South Tyrol to attend a secondary school in Trieste; after this she studied Slavistics and Germanistics at the Ca’ Foscari in Venice. From 1974 to 1976 she was an editor at the small “but at the time very lively” publishing house Marsilio in Venice. In 1978 she went to East Berlin and the Humboldt University on a scholarship; she developed close contacts in the cultural scene there, in particular with the group around Heiner Müller. When her writing began to take center stage again she decided to base her life in Venice, because her work as a university teacher left her time to write. In 1991 she became the first recipient of the “Berne Year,” a competitive stipend given by the cultural department of the Swiss canton of Berne, and resided in the bilingual city of Biel/Bienne (CH) as its honorary author. In the summer of 1995 she was official author of Villgraten in East Tyrol, where she attentively observed the “Culture Meadow,” a series of organized events with rough edges. Anita Pichler’s close affinity to the world of the mountains went back to her childhood. Year after year she returned to Sulden to engage in challenging hikes and climbs. In February 1995 she learned that she was seriously ill. She decided to move to Bolzano for the duration of her illness and died there on 6 April 1997, cared for by friends. Insofar as her strength permitted she continued working during her last two years, for example on a translation of “Die Steine von Pantalica” (The Stones of Pantalica) by Sicilian author Vincenzo Consolo, which was published by Suhrkamp in 1996. Anita Pichler made her papers available to the literature archives of the Austrian National Library; she left her Venice apartment to the Literar-Mechana. She named Sabine Gruber and Renate Mumelter as administrators of her literary estate. Pichler is buried at the foot of the Ortler in Sulden. For weblinks and literature see German version!